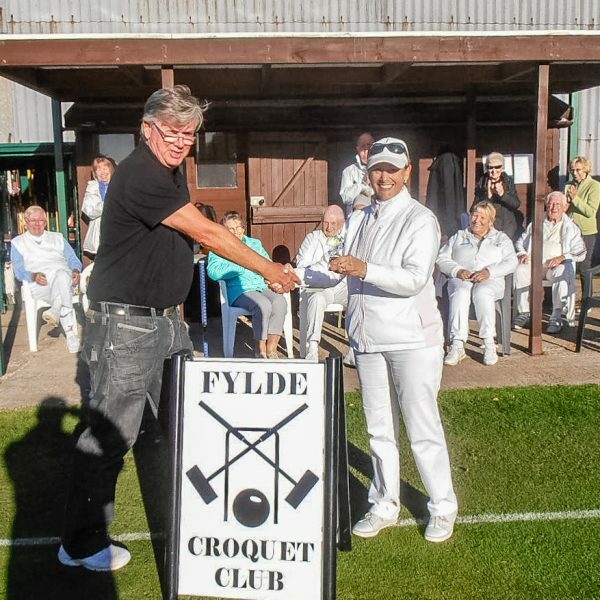 Golf Croquet players descended upon Fylde Croquet Club to play the final tournament of the 2018 season – the missing ‘GC Millennium Level Play’. 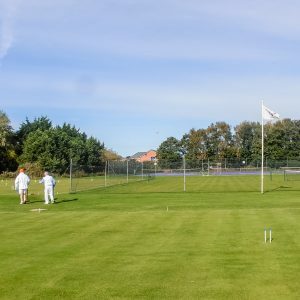 Fittingly after the summer we’ve had the single day event was played in bright sunshine with unbroken blue sky. Format was all-play-all, 19 point single games which led (despite the official hoop order being stated on the Tournament Notice Board) to some very interesting routes used to play the required 10points! Handicaps of the Players, ranged from 2 to 12, some playing in their very first tournament at all – just what and why the Federation holds these events for. Fabulous to see and be a part of, plenty of Fylde Members came down to watch and support, a very good day was had by those who attended – thank you Fylde!